The Jewel amongst the Elephant's Ear. Fantastic large leaves with wine red stem. 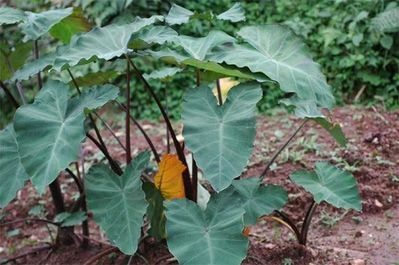 Mature plants grown upto 6 feet tall leaves upto 2 feet wide. Definitely a plant to add more color to your garden.